The combination of appealing styling, ultra-light weight, high power output and fantastic road holding like a racing car, has created a sports car that makes the hearts of countless car enthusiasts beat faster. We invite you to discover the fascinating world of Donkervoort! Stay up to date on the latest Donkervoort news and developments, events, media and more. Matching GT3 prepared racecar lap times on Spa Francorshamps. Experiencing the wind and excessive power combined. Lap after lap – safely – showing what you’ve got. Creating the ultimate fun. With the new Donkervoort D8 GTO-R all limits are off, and all racetracks will become home. With the first Donkervoort D8 GTO-40 being delivered to their customers, for Donkervoort it is time to take another step. 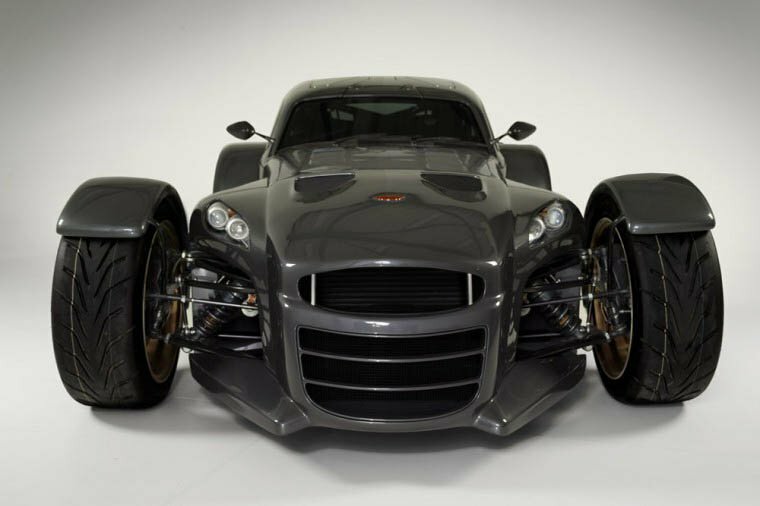 By transforming the fastest lightweight street legal car Donkervoort ever designed into a designated track monster. But more than ever, a Donkervoort, with its unique driving characteristics, its designer looks and ability to facilitate enjoyment. Donkervoort Special Project presents the D8 GTO-R, the very first Donkervoort equipped with a sequential gearbox and paddle shift system, made in collaboration with Bosch Engineering. As a Donkervoort driver you are part of the Donkervoort ‘family’. We attach great importance to your enjoyment of your Donkervoort, both on your own and in the company of other Donkervoort owners. Looking for a (used) Donkervoort? Take a look at our current collection of pre-owned Donkervoort cars. Get your Donkervoort Wear today. We offer a great variety of official products: from poloshirt to blazer and casual shirts, from Factory Tours to gifts and collectibles.